Motorcycles may be an exhilarating method of transportation, but they have also developed a reputation for causing terrible injuries and death. Their small size and the exposed position of their riders creates a fatality rate of roughly 25 deaths per million miles driven, more than thirty times that of passenger vehicles. The most common injuries resulting from motorcycle crashes involve the legs and hips, but the most common cause of death is head injury. Motorcyclists are at a massively increased risk of sustaining a traumatic brain injury. One recent study found that 12% of motorcycle-related emergency room visits and 26% of motorcycle-related hospitalizations involved a traumatic brain injury. These are serious injuries, often involving loss of motor skills, paralysis, seizures, decreased intellect, memory loss, and depression. Some victims of traumatic brain injury are unable to ever return to a normal life or hold a steady job again. In addition to these debilitating side effects or outcomes, traumatic brain injuries are also associated with extremely high medical costs. The Journal of the American College of Surgeons estimates that hospital expenses for a traumatic brain injury are roughly double those for an accident with no brain injury. With their increased likelihood of head injury, it is no surprise that motorcycle accidents account for 12% of emergency medical costs despite providing only 6% of the injuries. Traumatic brain injury devastates its victims on multiple fronts as families are forced to assume a new financial burden even as one of their members battles to recover from serious, possibly permanent, injuries. The prevalence, severity, and expense associated with TBI necessitate that any motorcycle rider take responsible measures to avoid a brain injury or mitigate the toll if one should occur. The single most important thing any rider can do is wear a helmet. Doctors estimate a properly fitted motorcycle helmet reduces the risk of traumatic brain injury by as much as 85%. It is also extremely important for motorcyclists to have good insurance. The loss of income combined with major medical expenses can be a crippling blow to a family. Good insurance helps protect both accident victims and their loved ones while allowing them to focus on their medical recovery. A traumatic brain injury resulting from a motorcycle accident can result in significant financial and personal costs. Unfortunately, motorcycle riders who use the proper safety equipment and obey traffic laws can still be involved in accidents. 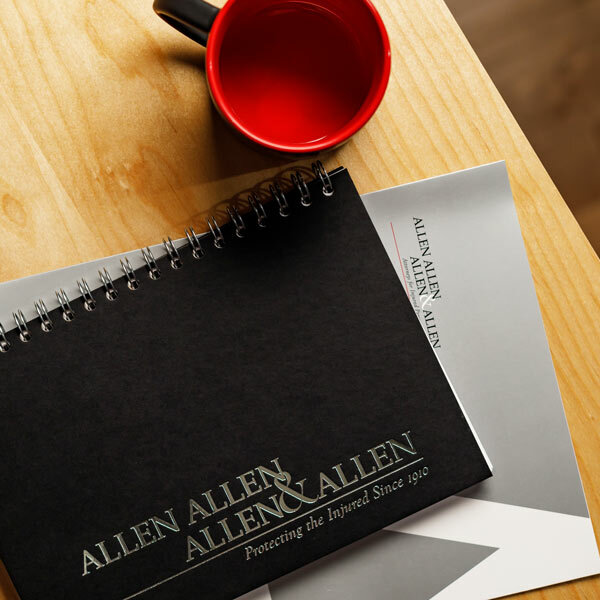 The personal injury attorneys at Allen, Allen, Allen and Allen have experience helping people injured in motorcycle crashes. If you or a loved one is injured in a motorcycle accident, contact The Allen Law Firm at 866-388-1307 for a free consultation. About The Author: Malcolm “Mic” McConnell is a personal injury lawyer who helps injured persons get the fair compensation they deserve. He is the lead Medical Malpractice attorney at the Allen Law Firm and has nearly 30 years of experience handling cases in nearly every medical specialty. Mic has appeared in Best Lawyers in America for 10 years and was named the Best Lawyers’ Medical Malpractice Law – Plaintiffs “Lawyer of the Year” in both 2013 and 2016.